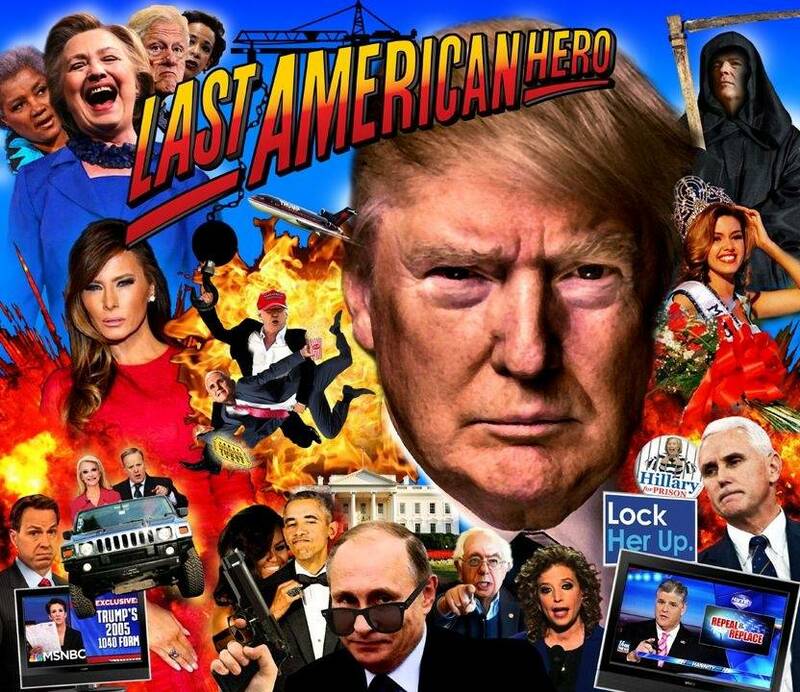 Now you can make your Last Action Hero Pinball machine "Great Again" with this novelty translite featuring our nations Last American Hero. This faithful reproduction highlights many of the political figures from the 2016 election year that made politics "fun again." Slide this into your pinball machine for your next party and count the double takes as your friends arrive and are stunned at this awesome transformation. Whether you lean to the right or a melting snowflake, this translite is guaranteed to entertain and inspire either patriotism or contempt for all. Email if interested. I will not respond to messages of"Is it still availlable" or death threats. This product is proudly made in the USA. This is hilarious, nice job. You should seriously consider making this rather than just being an April fools joke. Thanks, I actually did make it full size so if anyone really does want one they can PM me. I saw this appear on Craigslist and got a good laugh out of it. Almost brought a tear to my eye. Apparently, others didn't think so as it was removed from Craigslist. If some people can't stand for something they feel good standing against something! I hope that you didn't get too many death threats. I think it's awesome. I know it took some time to make that so thank you!